A developmental pediatrician is a board-accredited pediatrician who has also received sub-specialty training and certification in developmental-behavioral pediatrics. That person should have five years of practice experience, of which at least 50 percent focuses specifically on developmental-behavioral issues. 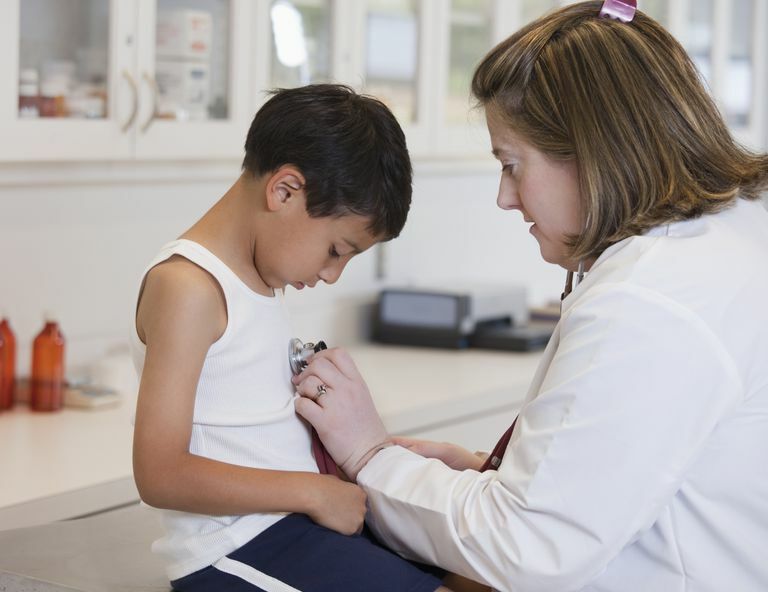 The American Board of Pediatrics has established a whole set of subject areas in which a certified developmental pediatrician should be knowledgeable and experienced. Most pediatricians in general practice have little experience with autism spectrum disorders. As a result, they are not ideally qualified to diagnose or treat autism. Developmental pediatricians, particularly those with a subspecialty in the field, are highly trained and experienced in identifying and diagnosing a whole range of developmental and behavioral differences. If anyone can tell the difference between, say, ADHD and high functioning autism, it's likely to be a developmental pediatrician. A developmental pediatrician should be able to look at your child's development overall, provide a diagnosis, and recommend a specific treatment plan. While developmental pediatricians are terrific for diagnosis, however, they are not always helpful when it comes to deciding among treatment options, therapists, and educational programs. That's usually because they have little experience with local special education programs or therapeutic offerings. Of course, your pediatrician may be the exception to this rule. At the very least, a developmental pediatrician will spend at least an hour or two with you and your child. He or she is likely to spend a fair amount of that time interviewing you about your child's developmental history, habits, abilities, and challenges. In addition, he or she will conduct a thorough evaluation of your child, checking height, weight, coordination, responsiveness, etc. It is unlikely that the pediatrician will conduct psychological or speech tests, though he or she will be aware of possible issues in these areas and will observe how your child moves, interacts, speaks, plays, and so forth. Once the pediatrician has completed the evaluation, he or she may provide you with a full report as well as a diagnosis. If the diagnosis is autism, your doctor should also provide more specific information about the level of autism and any related challenges such as speech delay. He or she may also recommend specific options for treatment, or refer you to agencies that fund and provide such treatments. Occasionally, if you are very lucky, you will find a developmental pediatrician with the time, knowledge, and inclination to help you help your child by finding the right treatments, therapists, and educational program. Finding a qualified developmental pediatrician is not easy. Even when you do, you're likely to be in for a multi-month wait for an appointment. It's obviously best to make that appointment the moment you think there might be an issue with your child; the worst that happens is you cancel the appointment if you don't need it. The best places to start such a search are with your own pediatrician who is likely to have good suggestions or referrals. A next step is to contact a local children's hospital or clinic which specializes in developmental and behavioral challenges. You can also find a certified developmental pediatrician through professional organizations like the American Academy of Pediatrics' referral service (be sure to search various related specialties). As always, of course, local parent support groups and listserves are also a terrific resource. What If You Can't Find a Certified Developmental Pediatrician? The developmental-behavioral certification is fairly new and requires a great deal of time and money to acquire. As a result, the number of "official" developmental pediatricians who specialize in autism is quite small. You may not have such an expert in your local area or you may find that her waiting list is months long. If you can't find or access a developmental pediatrician, don't panic. Many pediatricians, particularly those with established practices, know a great deal about autism without being an "official" developmental pediatrician. This is the often the case if the doctor has a particular interest in developmental issues, or happens to live in an area where autism is prevalent. Thus, even if a pediatrician does not have board certification in developmental pediatrics, they may have the ability to diagnose and even treat autism spectrum disorders. The best choice is to seek someone with appropriate credentials. If that's not possible (and it's quite likely that you'll find it difficult to find someone board certified in developmental pediatrics), the second best option is to find a board-certified pediatrician with solid experience in diagnosing and treating autism spectrum disorders. Alternatively, you may decide to consult someone with related experience with significant experience in diagnosing and treating autism. Options including a developmental neurologist, psychologist, or psychiatrist. Who Should Test for Autism, and What Tests Should They Use? Who Should Evaluate My Child for a Possible Autism Diagnosis?